He who controls today controls the past, he who controls the Party controls the future. The greatest impediment the Democrats have as a political party, even greater than gerrymandering and voter suppression is ourselves. Republicans have it easy, Rich white men"right this way. They in turn set the missive of flag waving God and country, abortion, hate minorities, etc. It's straight out of 1984, "The war is not meant to be won, it is meant to be continuous. Hierarchical society is only possible on the basis of poverty and ignorance. " Case in point, I worked with a man with five kids who was getting by on food stamps and food pantries and boy oh boy, did he hate Democrats. We worked for an evil corporation making billions of dollars, a corporation which never gave raises. But in his view the problem was Democrats, you see he was a Christian. His prime motivating issues were abortion and gun control as he struggled to keep his rusty truck running. The Democrats are everyone else, with a hundred different issues making compromise difficult at best. But the Party, ah the Party. Politics is a dirty business promising rain to the dusty and sunshine to wet. The candidates come and go, but the party remains the same. The party is where the money comes from, the party gives a candidate a national stature. It is only when events really turn sour when the will of the party can be over written. In 1932, the Great Depression made Herbert Hoover a dead man walking. After over production and easy credit assisted economic collapse Hoover proposed giving aid to the producers. To aide the Dust Bowl farmers Hoover sent seeds. You'll see this time and time again in Republican politics, "Give them a nickel Smithers we have things to do." Divide and conquer, it's the Red man, it's the immigrant, it's the Kaiser, it's the communist, it's the Black man, it's the Gay's, it's the immigrants. But in 1932, the obvious enemy couldn't be ignored. By assisting the consumer, the economy was restored, by public works projects the economy thrived. Because of the two hundred dams built by the TVA the metropolises of Nashville, Huntsville, Atlanta and a dozen other cities were made possible. After three full terms in office the Democratic Party belonged to FDR. His loyalists were in every position of authority and they picked Harry Truman as Vice President. Truman was thought to be a company man as the President's health became an issue. But Truman proved less pliable than they had hoped. Truman desegregated the military and made desegregation a plank in the Party platform in 1948. You know what? The Party didn't like that. The old FDR coalition included the solid south, turning a blind eye to southern racism. 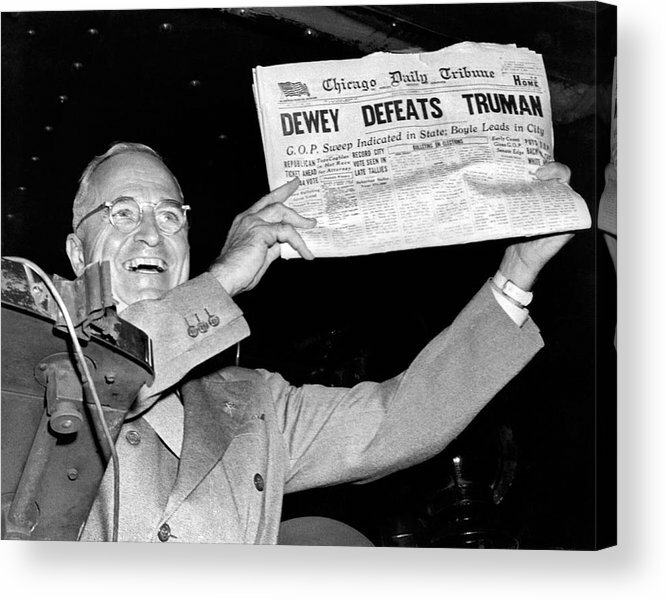 Truman didn't just defeat Dewey he also defeated the Party. Truman was begged to drop desegregation as a plank and Southern delegations threatened to walk out of the convention. And when they did, Hubert Humphrey lead a cheer as the band played "Happy Days are Here Again." The Party elite thought Truman was done. Like Generals, the Party is always fighting the last war. John Kennedy was a war hero, young and charismatic. He'd written books and had a beautiful wife, but he was Catholic and a Catholic had never been elected President of the United States. Once again, the Party believed the conventional wisdom that bigotry should be accepted as conventional wisdom. Don't take risks, stay on the sidewalk, stay in the shade lest you get burned. The war was the primary issue in 1968, the disastrous tumult of Vietnam brought the Parties choice, Hubert Humphrey against the outsiders' choice, Eugene McCarthy. Then Robert Kennedy entered the primaries, his eloquence charisma and sensitivity to the needs of the people cast a long shadow over the conventional wisdom. Kennedy began to rack up primary victories culminating by winning the California primary. No Democratic candidate had ever won a Presidential election without first winning the California Primary. After Kennedy's assassination that rule held true. Kennedy wanted to stop the Vietnam war and the Parties choice wanted to continue it. We know now that Defense Secretary, Dean Rusk had advised LBJ that the war could not be won. "Shh," said the Party. After Watergate, Jimmy Carter was swept into office by a wave of anti-Washington sentiment. Carter wasn't the Parties choice and a wave of anti-Carter sentiment swept across Washington. Carter had as many problems with Beltway Democrats as Republicans. The feud between Carter and Ted Kennedy was legendary. Carter had all these crazy ideas like the peaceful resolution of international conflicts. Energy independence through less polluting alternative means such as solar and wind and the Party didn't like that. The Democratic in fighting aided in the election of Ronald McDonald,I mean Reagan. Enter the rise of the young Bill Clinton, after two terms of Ronald Reagan the Republicans were firmly in control. It was mourning in America. Tax cuts for the rich, trickle down economics, birthday cakes for the Aitolia and drug wars in Central America, you remember, the good old days. It was a tough time to be a Democrat, so Clinton opted not to be one. He was a "New" Democrat and the Party smiled. So, what's a "New" Democrat, you ask? It's a moderate Republican favoring public-private partnerships and welfare reforms, and do you know what's a really good idea? Let's deregulate Wall Street! That's the "New" Democrats way! Glass-Stegall? What do we need that for? The free market can be trusted to regulate itself, isn't that what the noted neoliberalist godfather, Ludwig Von Mieses said? But with the rise of Bill Clinton the nation also got Hillary Clinton in the bargain. Hillary was different from other first ladies, she wanted to do things, important things. With one sentence, "I suppose I could have stayed home and baked cookies and had teas," she ruined her chances. She became the target of right-wing slings and arrows, what's wrong with baking cookies? Who elected her? The right's hatred for Hillary is unprecedented, she is portrayed as a monster, a great white shark with a rocket launcher on her head. Probably one of the most investigated politicians in American history, but is she a crook? No, she's just a poor polarizing politician. Some of it is her fault some is not, she has that cookies remark smirk on her face and Queen Elizabeth wave to the crowd. Barack Obama was the anointed one, the party couldn't believe their luck. A black Republican, no drama Obama. He was cool in the face of a bumbling John McCain. But what about Hillary, she had party loyalists as well? She played the game and made the compromise, she would be the co-President. Hillary would handle foreign affairs and Barack would handle the home fires and home fires there were many. After Bush crashed the economy (See: Mexican Peso Collapse) Obama was left to pick up the pieces. Obama gave tax cuts for those buying new cars and new homes. God bless him for assisting the well healed to buy in cars and homes during the second Great Depression. Cash for Clunkers was a Hoover era proposal to buy back old Model T Fords. In this case it was part of the GM bailout, taking older vehicles off the market causing prices rise so the poor looking for an older vehicle paid higher prices. Obama took a stock position in GM. Funny thing, when Jimmy Carter bailed out Chrysler in the 1980's Republicans in Congress demanded Carter take a stock position in the company, but Carter refused. With tens of millions of Americans struggling to keep their homes Obama re-floated the banks carte Blanche. For struggling consumers Obama's home program left final decisions up to the bank. "Give them a nickel Smithers we have things to do." Is it surprising Democrats have issues? Obama proposed community colleges for the unemployed while union internships are free. An Obama era program taken directly from a Republican program in Georgia allowed employers to hire unemployed workers for ninety days, paying them only their unemployment checks. If after ninety days, the worker was not what they wanted they could throw them back and start over with a new worker or they had to start paying them real wages. What do you think the employers did? But let's not forget Obamacare. (public option) The government subsidizing the private insurance market (public option) you know, tax dollars flowing directly from your government into private coffers offering low quality insurance with high deductibles few could afford to use but Yippee, everybody is insured. Obamacare was better than a poke in the eye with a sharp stick, but it wasn't the answer. And the public option,it quietly disappeared like the queen in a game of three card Monty. "There's not a liberal America and a conservative America - there's the United States of America." He was certainly correct about the first part Americans are far more liberal than their politicians. Tens of millions of Americans wonder why healthcare is a political issue? Why is the minimum wage a political issue? Harry Truman raised the minimum wage twice in seven years, Kennedy raised it twice in three. Clinton raised it once in eight years and Obama once in eight years,twice in sixteen frigging years? A Big Mac cost $2.20 when Clinton took office. When Obama left office it was $ 5.30 How can a Party hope to motivate voters, when it won't fight for them? Bernie Sanders set the woods on fire in 2016 with his $15.00 an hour minimum wage proposal. You would have thought he proposed free crack in church. (pipe not included) Hillary responded with $ 9.00 an hour pledge. Woo hoo! "Once, I was starving "but now, I'm almost starving!" At the convention they pitted two minimum wage workers against each other to explain wage discrimination in a pizza restaurant. The man earned $ 7.50 and hour while the woman only earned $7.25 an hour. Like two slaves working a cotton field complaining about unfairness because one has a better hoe. This how Hillary Clinton and the Democratic Party inspired millions, to stay home in 2016. By offering them nothing. It seemed like a reasonable strategy, as long as we're not Donald Trump we got this in the bag, just play the percentages Don't take risks, stay on the sidewalk, stay in the shade lest you get burned. Now we start again, and the polls say Joe Biden is in the lead without even an announcement he's running. I'm sure Joe's a great guy but he's never had an original idea in his life. He's safe and he will inspire millions, to stay home. He's a good party loyalist, now just for fun name the last Democratic Vice President elected to the big chair, I'll wait. Excepting Truman and LBJ the answer is Martin Van Buren in 1837. Good luck Joe! After this dark cloud of regressive regency, the people want change. The people want Medicare for all, they want a Green New Deal. The people want better education for their children, and they want living wages for all Americans. These aren't political issues these are moral issues. Two and a half million homeless children on our streets. Thousands dying from opioids and diseases of despondency because no one cares about them. These are the abandoned multitudes who once made up the Democratic base. If the Democratic Party chooses a blank sheet of paper painting happy little smiley faces and platitudes upon it they will lose and this might very well be the last Presidential election of consequence. This is a fight for what's left of the soul of concentration camp America. The people weary of Corporate Democrats promising half a slice of pie in the sky. They tire of being told it's not really hunger but a new diet. You really don't want that because it's too expensive. The Party of "No" will become the Party of none, when the Party stops listening to the people, the people will stop listening back. "Be true to yourself and you cannot be a traitor to any good cause on earth." Sorry, but this time you are all over the place. David shows how really awful the people running the Democrats really are. Truman's act of defiance of Southern racism is offset by his Russophobia and race hatred which allowed him to lie in order to use the atom bomb against yellow skinned Japanese civilians and start the Cold War and the Korean War. Carter invaded Afghanistan using Wahabbhi proxies, Clinton destroyed Yugoslavia based on lies. Obama talked peace and was bombing Pakistan within a week of taking office. Hillary wanted to start a war with Russia in Syria. She destroyed Libya. Hillary Clinton used the Clinton Foundation to launder millions from Saudi Arabia, and Russian oligarchs who are no friends of the Russian people either. Henry Wallace, Jesse Jackson, Dennis Kucinich and even Russophobic F-35 loving Bernie Sanders--all thrown under the bus. The knives are out for Tulsi Gabbard. Democrats like Biden, Pelosi, Clinton, Schumer etc etc all wolves in sheep's clothing. It is the Democrats/Republicans that need to be regime changed. 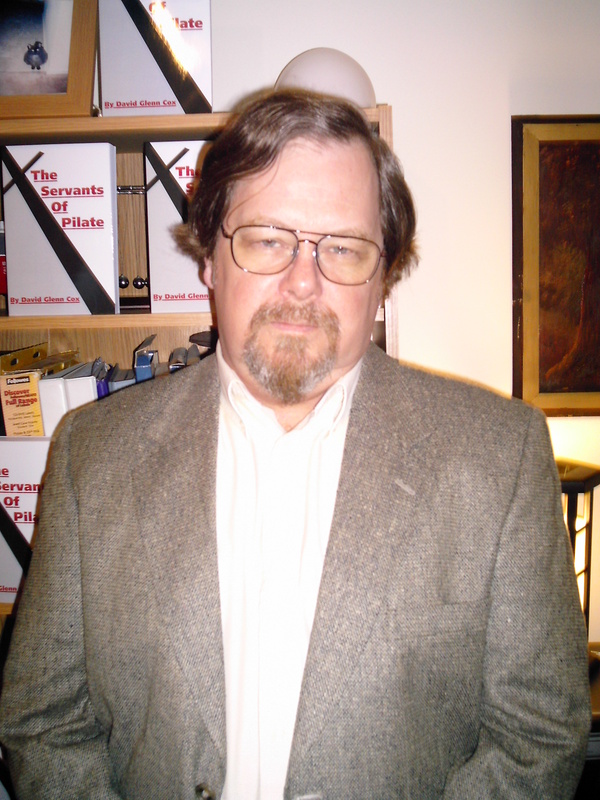 But between Christian Right and imperialist fake Left, prospects are dim, absent their humiliation. It's a sad story well told. But to me the saddest part is that American voters continue to vote almost exclusively for candidates of the two major parties. Those parties have worked together for many years to make things steadily worse for average Americans. Yet the people continue to vote for those two parties' candidates even in non-swing states where there is no practical purpose in doing so. In that way we enable the duopoly to reign unchallenged. $ out of politics (fat chance).